One of the most celebrated holidays brings together family and friends from all over the globe to express their gratitude and thanks for one another. Of course, we're talking about Thanksgiving, and with a holiday of such proportions, certain planning must take effect! 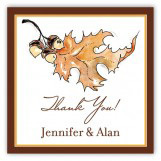 This is why our Thanksgiving Invitations are such a unique and special collection. Not only do they feature exclusive artwork and design themes, but they also can be completely personalized as you need. Thanksgiving dinner is a joyous time for many. It's a feast that is remembered throughout the year, which is why having the right ways to honor and document are necessary. We have a great selection of ways to pay homage to the holiday, especially with our fun and festive Thanksgiving photo cards! Or perhaps you're looking for just a simple, clever way to honor the holiday without going overboard. If such is the case, then perhaps you'll get a kick out of our Thanksgiving stickers, the perfect way to adorn your outgoing holiday correspondence. No matter which way you choose to observe the holiday, Polka Dot Design has you covered. Our assortment of fall party invitations is so extensive it's almost guaranteed that you'll find something you love. There's always a reason, and a season, to celebrate here at Polka Dot Design. 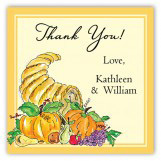 Save up to 25% or get free shipping on Thanksgiving, Fall Party, or Baby Shower Invitations online. For more information, contact us at service@polkadotdesign.com or call the Polka Dot hotline 1-877-816-0884.